Valhalla, N.Y., January 27, 2014 – As a leader in advanced digital camera technology and outstanding image resolution, FUJIFILM North America Corporation today announced the new FUJIFILM X-T1, a weather-resistant premium interchangeable lens camera with a large OLED electronic viewfinder (EVF) that delivers a near-instant image preview, the latest generation 16.3 Megapixel APS-C X-Trans CMOS II sensor and the segment’s fastest autofocus of 0.08 seconds*1 for a truly remarkable photographic experience anywhere. The FUJIFILM X-T1 now gives professional and enthusiast photographers the award-winning imaging power of the X-Series in a water, dust and temperature resistant body that braves outdoor challenges like never before. 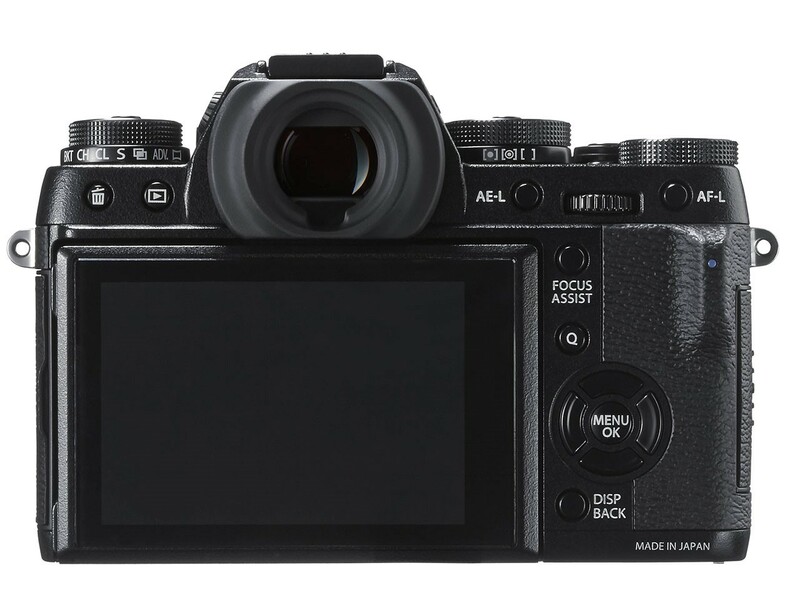 The FUJIFILM X-T1 combines a unique wide-angle 2.36m dot resolution OLED view with the world’s highest magnification (0.77x) for a digital camera *2 and shortest display lag-time of just 0.005sec*3 to react as quickly as you need in any environment. The OLED viewfinder also includes cutting-edge technology to bring users even closer to their subjects. The X-T1’s viewfinder uses a newly designed Graphic User Interface that provides an exciting shooting experience with clear details and a comfortable at-a-glance view of your settings. The FUJIFILM X-T1 uses the award-wining EXR Processor II and X-Trans™ CMOS II sensor with built in phase detection that delivers an astonishing response time of just 0.08 seconds and a super-fast 0.5 second start-up time*5, along with a 0.05 second shutter time lag and a 0.5 second shooting interval*6. The X-T1 can also shoot up to 8 frames per second*7 with tracking AF and is the first-ever CSC*8 to be compatible with SDXC UHS-II format memory cards for data writing speed (in Continuous Mode) that is approximately twice that of a conventional SD card. 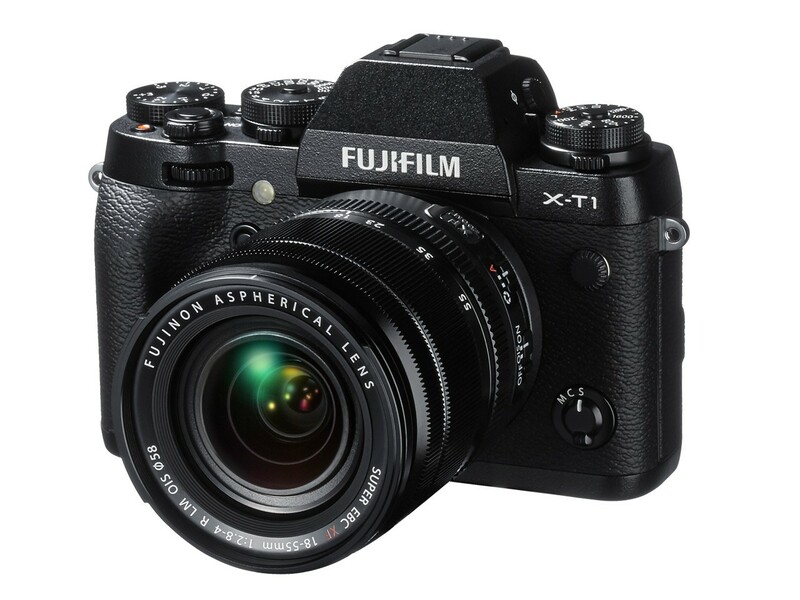 The FUJIFILM X-T1 is the first weather-resistant X-Series CSC (when used with a weather-resistant lens) that performs in a wide range of challenging environments. The X-T1 uses more than 75 points of weather sealing, and the camera body is dust-resistant and water-resistant. The X-T1 is also freezeproof to -14°F for full-fledged field photography work, while the premium clear 3” LCD screen with 1.04 million dot resolution is made of tempered glass for additional outdoor protection. With five mechanical dials on the top-plate, two command dials; one on the front and one on the rear, and six fully customizable function buttons, the FUJIFILM X-T1 feels and functions like a proper photographic tool in the hand. The top-plate includes two machined-aluminum double-deck dials for the shutter speed and metering, and the ISO sensitivity and drive modes, and each is designed to turn with a reassuring click, while their textured surfaces gives a firm confirmation when setting up a shot. With their exposure values clearly marked, the X-T1’s settings can be checked at a glance without using the rear LCD and the dials are perfectly arranged so that functions can be changed without removing your eye from the viewfinder. The six customizable function buttons and two command-dials arranged on the front and rear complete the picture, ensuring instant setting satisfaction. 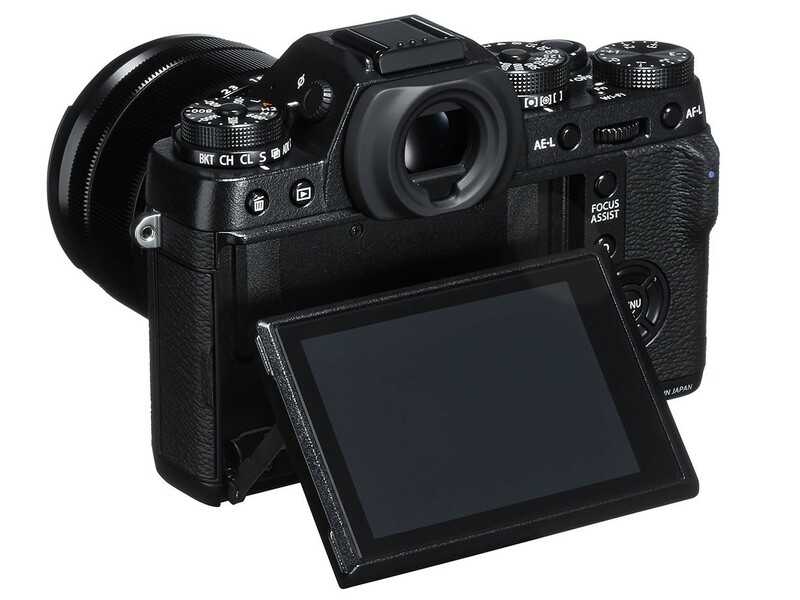 The X-T1 one-touch WiFi connectivity lets you easily share images to your smartphone or tablet – pictures that these devices cannot capture – and remote shooting via smartphone or tablet using the Fujifilm Camera Remote app for unique capture opportunities. The optional vertical battery grip (VG-XT1) has the same hardy structure as the X-T1, so when added to the body, it is completely secured against the elements. Fujifilm is launching three weather-resistant zoom lenses to complement the X-T1 camera in 2014, including the XF18-135mmF3.5-5.6 R OIS WR, XF16-55mmF2.8 R OIS WR and the XF50-140mmF2.8 R OIS WR. 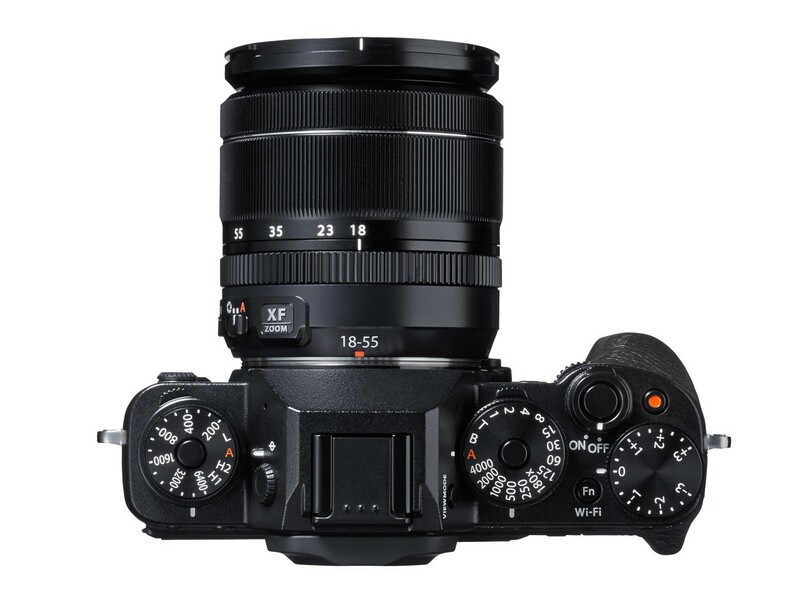 The FUJIFILM X-T1 (body only) will be available for $1,299.95, and the X-T1 with the XF18mm-55mm (27-84mm) F2.8-4 lens (kit) will be available for $1699.95, both in February 2014. 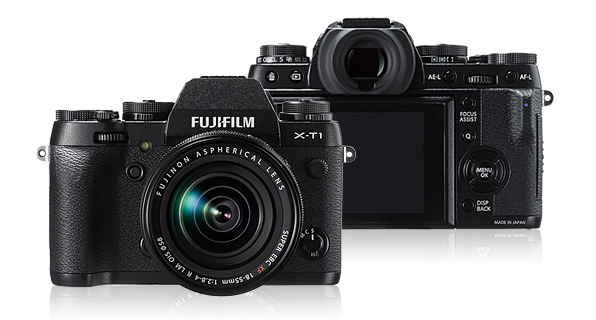 The FUJIFILM X-T1 uses the same FUJIFILM X-Mount as the X-Pro1, X-E2, X-E1, X-M1 and X-A1, and all FUJIFILM XF and XC lenses work with all X-Series interchangeable lens cameras. (All other modes) 30 sec. to 1/4000 sec. Time 1/2 to 30 sec. Full HD 1920 x 1080 60p / 30p, Continuous recording : up to approx. 14 min. HD 1280 x 720 60p / 30p, Continuous recording : up to approx. 27 min. * Individual movies cannot exceed approx. 14 min. on Full HD mode, and approx. 27 min. on HD mode in length.